When talking about the most beautiful lakes in the world, many may not have heard of Lake Atitlán located in Guatemala though Lake Como in Italy is certainly not the only one on Earth. In fact, this famous sentence: “Lake Como, it seems to me, touches on the limit of permissibly picturesque, but Atitlán is Como with additional embellishments of several immense volcanoes. It really is too much of a good thing.”, written in one of the travel books by Aldous Huxley, Beyond the Mexique Bay, has painted the picture perfectly! The scenery is no doubt amazing with many volcanoes in sight and the lake seductive with its shimmering body of water shining so brightly. But Atitlán is not just all about that. Apart from swimming in Lake Atitlán itself, it is surrounded by villages which Mayan Culture is still dominant and if you wonder if Mayan people still exist, you will find the answer here. It is culture, nature and adventure all in one place. Lake Atitlán is actually a caldera and endorheic, filled with water after a volcanic eruption some 84,000 years ago. As a closed basin, water can only escape through evaporation hence water level have been rising ever since and thus when you visit now, you will find some structure submerge in water. If you are visiting Guatemala, flipping through Guidebooks, Lake Atitlán is bound to appear. A pity though is that Lake Atitlán is often recommended as a single destination when it is surrounded by 7 main town along with other smaller villages, which each is unique on its own, proving travellers with different experience while visiting the lake, and San Marcos is one of them. A very laid back place I would say as time seems to have stopped with everyone being so relaxed. With both water and volcanoes in sight, Lake Atitlán is also known for its spiritual energy and the energy is probably strongest in San Marcos, turning it into a spiritual hub with many people coming to do yoga, meditate and learn Reiki among many others. You will see travellers in dreadlocks happily walking barefoot on the streets, easily passing as a hippie place. Panajachel is the main town in Lake Atitlán and to get to other villages, you will have to catch a boat from here. Shuttle bus is definitely an option and there are many travel agencies that provides this service wherever you are. But if you are coming from Antigua, there is actually a direct chicken bus to Panajachel leaving at 7am daily. I got my tickets a day in advance from a tour agency office opposite La Bodegona Supermercado for Q36 and the trip was around 2.5hours. Onwards to San Marcos: look for the dock for which boat leaves to San Marcos; fare is approx. Q20 (note: different from what locals pay) and takes approx. 45mins. 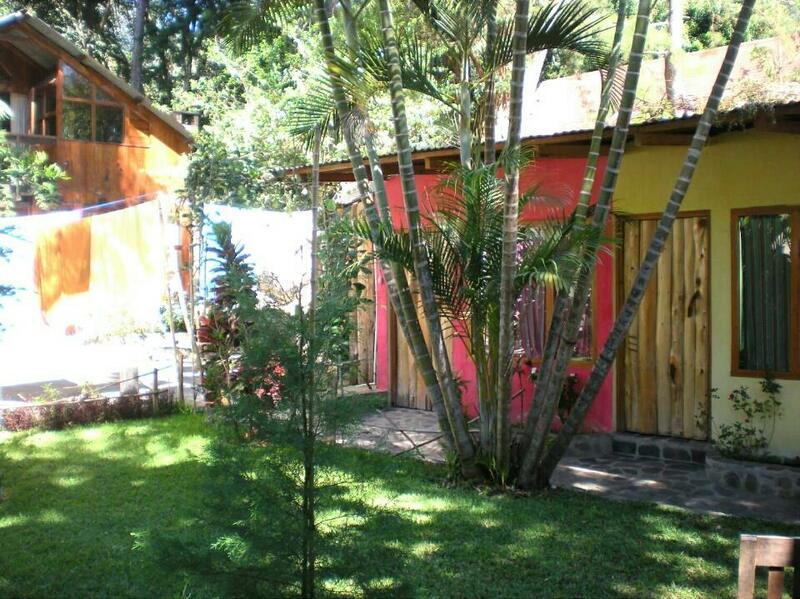 A young and vibrant backpacker place, this is a great hostel for solo travellers to make friends. This hostel is run mainly by volunteers and you can expect daily yoga at their own yoga platform, and special events on certain days such as karaoke night. Price: dorm bed from Q75/pax. On certain nights, they have special meals prepared by their volunteers and this is open to public as well. As the volunteers comes from all over the world or are well-travelled, you can expect dishes such as Thai Tom Yum or Chinese Kung Pao Chicken. Anything, really. You can check with them to see when is the next communal dinner or what dish is coming up next. If money is not a problem, there are many other options to choose from and finding accommodation here is not a problem. Try Posada Schumann which is just by the dock, La Paz, Paco Real, or search Airbnb. Not just diet, but mind detox as well. Even if you have not or usually do not engage in such activities, being the spiritual hub it is, there are yoga, meditation and massage centres aplenty, and if this is what San Marcos has to offer, why not take the opportunity to improve your mind, body & wellness. The docks are a great place if you are doing it on your own. Never heard of such ceremonies before I stepped into San Marcos, but apparently majority of people coming to San Marcos participates in this ceremony at least once. Cacao is a medicinal-plant said to facilitate in reaching within yourself and help opening up, and this ceremony is to let you experience it. Honestly speaking, I am a novice of this topic, but you can visit their website if you wish to learn more. No harm in attending and see if it brings something positive into your life. Believing is one thing, but for those who are interested, I had a pretty accurate reading and insightful conversation with my palm reader. A lot of activities in San Marcos could be free or by donation, but for palm reading, you can expect to pay around Q150 for an hour session. Had mine done on the second floor of this elephant structure as shown in picture, and on the first floor is a shop where they sell clothes, accessories and souvenirs if you would like to do some shopping. Would also recommend to have your readings recorded for future purposes in case you want to refer again. 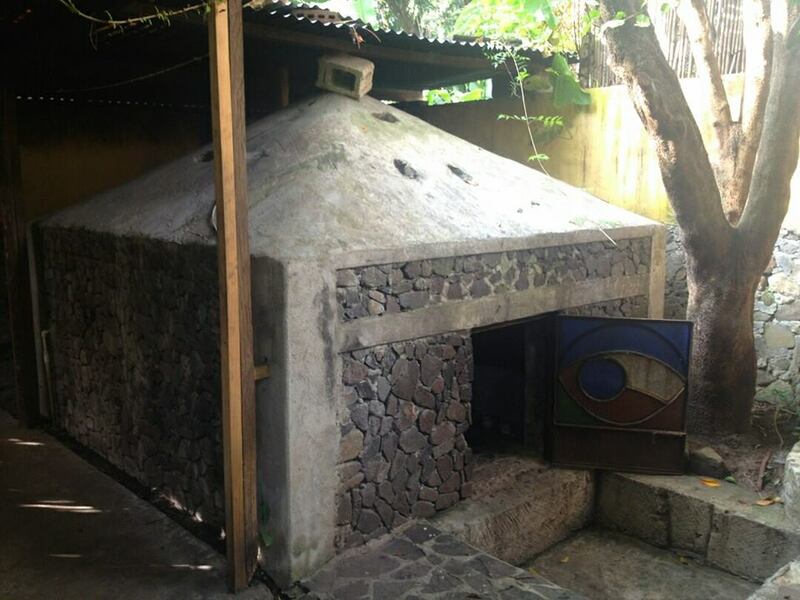 Not your usual sauna, but here in San Marcos, you will have it in a sweat lodge originated with pre-Hispanic Indigenous people in Mesoamerica. This is a luxury, though affordable, and could be cheap in fact with prices starting from just Q25 per session. Especially pleasing after a day of swimming. 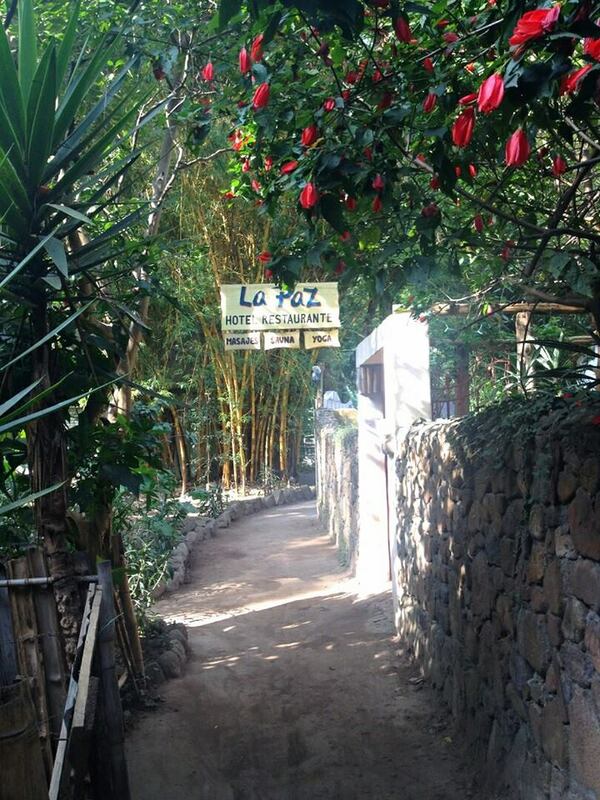 Check La Paz, Paco Real Hotel or Posada Schumann. There are many places in San Marcos that provides stunning sunset view but nothing beats having the best seats watching the sunset while sipping tea. Try their Hibiscus tea. Watch as the last boat arrive, dropping commuters off before it distant and disappears into the pitch black dark with only its headlights visible. Looking at pictures of sunrise at Angkor Wat in Cambodia, it is no doubt one of the iconic travel experiences to be had. Though there are no majestic towers here in Lake Atitlán, it is lined with mountains and the glow at the crack of dawn before the sun finally appear from behind the mountains is truly amazing with hues of blue and purple or sometimes orange. Atitlán is no less attractive after dark as the mountains are outlined in seductive midnight blue shade, and sky filled with millions of stars. I was so lucky to have caught shooting stars as well. Best place for watching sunrise and night sky is at the dock where this is less light pollution. Some cafés or hostels/ hotels, in San Marcos have free movie nights. You will just have to keep a look out for posters plastered on the door of cafe itself or on other notice boards. Check Café Shambhala and Hostel del Lago. Probably the most active and popular sports in San Marcos, the basketball court is open daily and you are free to use it. Invite yourself to play with the locals if you wish. One popular attraction in San Marcos is Reserva Natural del Cerro Tzankujil where they have a platform for you to jump into the lake. If jumping is not your thing, you can enter the water from the docks, and there is a public dock further down from where the Chocolate Ceremony is held, where you could also suntan. Some hotels also have kayaks for rent if you feel like venturing further leisurely. Start early in the morning as afternoon winds make the water choppy. Blind Lemon’s is an extremely cosy bar, restaurant and internet cafe which serves a mix of Guatemalan and American cuisine. But what I like most is to immerse myself in music played by the owner himself who is a musician, loves country music, and sings really well. There are quite a few around the basketball court, selling typical Guatemalan food such as Termales and vegetarian fried rice. At night, there is also a vendor that sells fried chicken wings and fries, so grab a beer and enjoy one of those basketball match. Walking straight from the dock where you arrive in San Marcos, all the way to the end of the street, you will find an eatery on the left just before turning right that leads to the basketball court. They make fresh tortilla and sells delicious plate of typical dish filled with salads and beetroot etc. Note that they won’t be open at night, closing in early afternoon. Another favourite is run by a couple who switches their menu everyday. You can expect dishes like barbeque pork on top of rice, or soup dishes serve with tortillas. Prices are around Q20 per plate and they serve till late at night. They can be located by turning right from Blind Lemon’s Restaurant & Bar, then turn left and walk up the street. They are at the last or second last store on the right. Restaurant Fe have a long list of Indian curries serve with rice, and they are so good. Recommend ordering their freshly made stone oven-baked naan as well to dip with the curry. Restaurant Fe is a more upscale restaurant by the owner of Hostel San Marcos where they also have a restaurant, but prices are reasonably affordable. 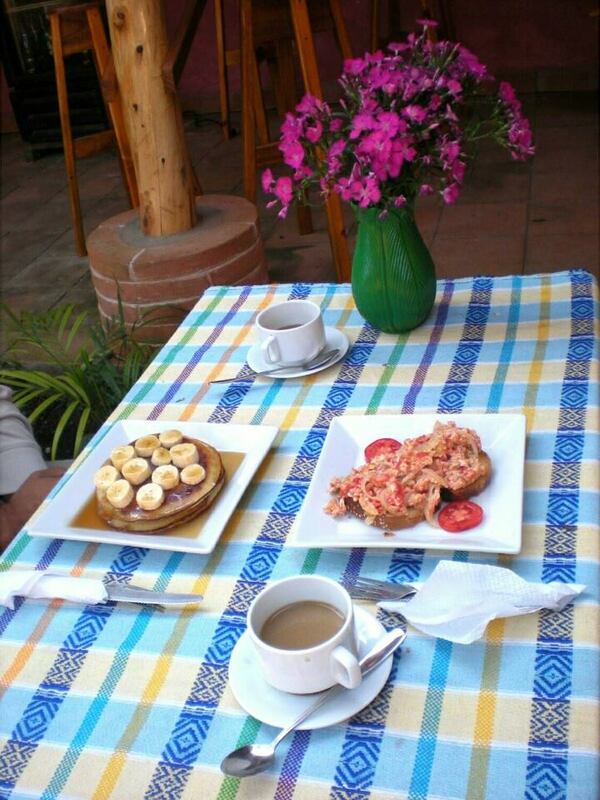 And if you are staying at Hostel San Marcos, breakfast will be serve at Restaurant Fe instead of the hostel’s. From the same owner of Restaurant Fe, you can expect delicious meals at this place. Their stone oven-baked pizzas are worth every penny with copious amount of cheese and other ingredients. There is a wide list of selection to choose from and you would be able to find something that suits your taste bud. When the power supply cuts off unexpectedly, continue to enjoy your meal in a romantic candlelit dinner setting. Café Shambhala is a really chill place to enjoy a pot of tea in the afternoon. They come up with special meal sometimes, such as typical indian food. I tried two of their specials during my time there and both were delightful, leaving me craving for more. Get there early if you want to try their special meals as they come in limited quantity and sells out quickly. There are roads around the lake that gets you to other towns, but I have heard that they are bandits on these routes. Therefore, would recommend to catch a lancha (boat) for travelling to another town. It is relatively safe within the town itself though. Did not felt like I was in danger at any point of time. As water in Lake Atitlán can hardly escape, no one knows exactly what is present in the water after all these years. Some people were complaining of having stomachache after drinking the water accidentally, though I did not experience it. It is bright and hot in the day but winds are cold and it can be rather chilly when the sun sets. San Marcos has a really laid back and relaxed atmosphere. People here seemingly have no worries and take life as it is. Try not to rush. Go swim in the lake, have a few cans of beer and chicken wings, play basketball, watch movies, indulge in good food, and stay longer if you like.